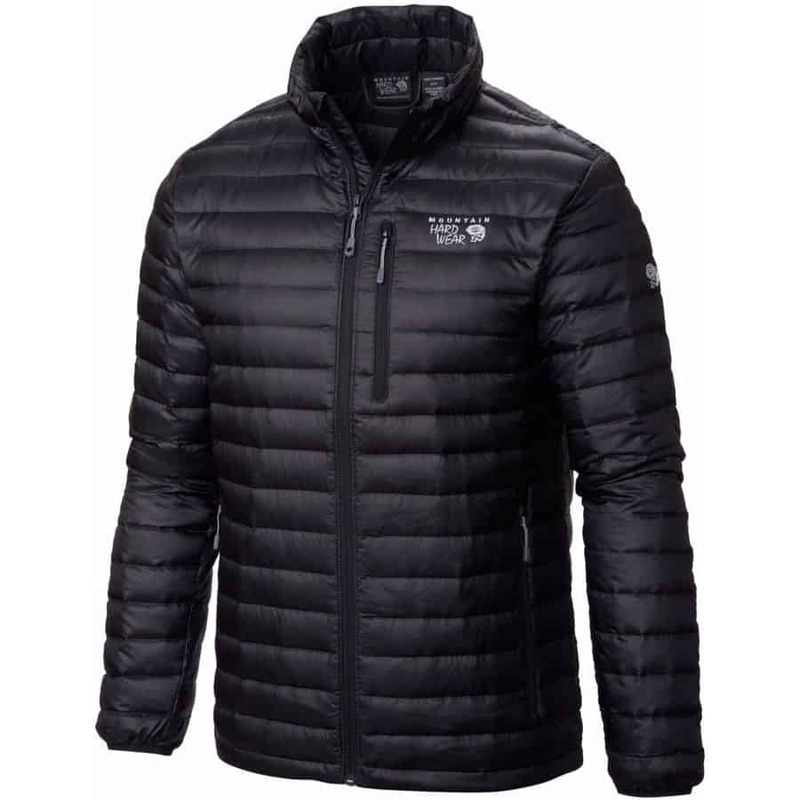 » Mountain Hardwear Nitrous Review [2019 Update] – A Good Down Jacket? 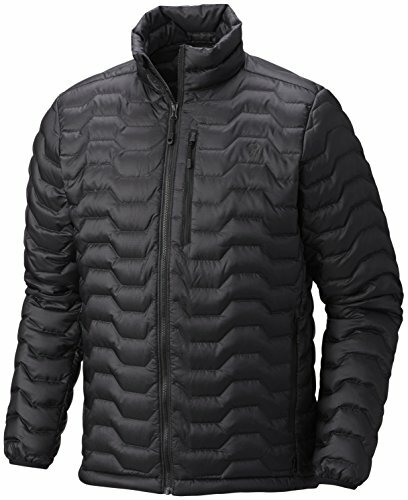 Mountain Hardwear Nitrous Review [2019 Update] – A Good Down Jacket? Mountain Hardwear has some excellent apparel for outdoor enthusiasts. They have a knack for designing jackets that look just as incredible as they feel. Everyone should have a versatile down jacket that they can rely on to keep them warm throughout the year. 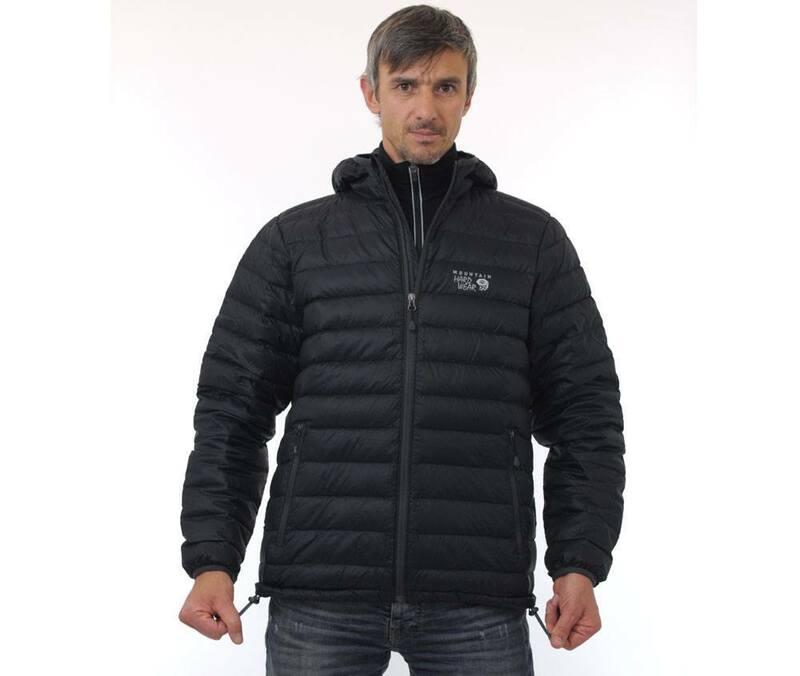 And Mountain Hardwear’s Nitrous Down jacket is that kind of jacket. You can take it with you anywhere – whether you’re hiking out on a trail or need something that looks good for casual wear. It is super warm, thanks to Q.Shield technology, and looks quite sleek for having goose down fill. If you don’t have that go-to light jacket in your closet, you might want to consider buying this model. Purchase Options: Where to Buy the Nitrous Jacket? Those already familiar with MH apparel know that they pay very special attention to their designing and material choice for every jacket. Here are the basics you need to know about the Nitrous. The Nitrous is a fairly basic down jacket but Mountain Hardwear’s choice of insulation, quilting and other features really make it stand out from the competition. This jacket is often praised with numerous 5 star ratings for looks, performance and overall quality. Here are three of the most popular benefits for the Nitrous. At first glance the Nitrous looks fairly thin, almost like it would only be appropriate for the mildest of chilly days. This couldn’t be further from the truth. The insulation MH went with is Q.Shield, which is a special goose down that has had a permanent water repellent treatment on its fibers. This gives you all the comfort and warmth of normal goose down with one very important feature. While normal goose down is naturally resistant to water, if you get caught in rain or drenched from falling in wet snow you will lose warmth. Instead Q.Shield is extremely moisture resistant and will remain almost at original loft, even if you get caught in a heavy downpour. The additional DWR coating on the polyester shell makes it even more water repellent. The shell is quite smooth and slick so light snow should fall right off if you are moving. While the Nitrous wasn’t designed as a wind jacket it still does a pretty good job at keeping drafts away as well. This is especially true if you add a layer under it. At 800 fill, many wearers find that it is plenty warm enough for fall and winter wear. It does come down to personal comfort but most men felt fine wearing this jacket, with appropriate layering, in subzero temperatures. Another advantage of the Q.Shield fill is that it easily compresses down (into a stuff sack if needed). Compressibility is important to many people, especially those that travel a lot or go backpacking. Going on outdoor adventures in the cooler months means you’re going to at least need a thick jacket for early morning and night, but probably still want a lightweight down jacket in case you don’t need it. The problem is trying to stuff a puffy down jacket into your backpack or daypack once you start warming up is going to be a pain- not to mention it’ll take up precious space. I would definitely recommend getting a good stuff sack to maximize space. Once you are ready to wear it again you’ll be pleased and how quickly it fills back out when unfolded. A down jacket is far more useful when you can layer with it, and the Nitrous is perfect for layering. There are a few design features that make this jacket function as an inner or outer layer so well. First off, the entire shell is quilt stitched with smaller, extended baffles. This helps to keep the insulation in place when using a shell over the top of it. Another feature would be the elasticized cuffs. Nothing is more annoying than putting a shell over your jacket just to have the sleeves get rolled up underneath. The cuffs of the Nitrous are tight enough to prevent this from happening. The cuffs also help to keep inner layers in place while moving around. The fit of the jacket is considered Standard, so there is plenty of room for layering a fleece under it or have a shell on top without things getting constricted. If you plan on doing some heavy under-layering for winter you may want to size up from what you were planning on buying. It’s hard to find things wrong with the Nitrous but some customers have discovered these two complaints. This might possibly be a fault of the customers and not the brand but some are disappointed that the jacket shell isn’t as durable as they assumed it would be. The shell is only 40D ripstop fabric (polyester), so it isn’t that strong of a material. Keeping the weight down was key so MH had to cut it from somewhere. 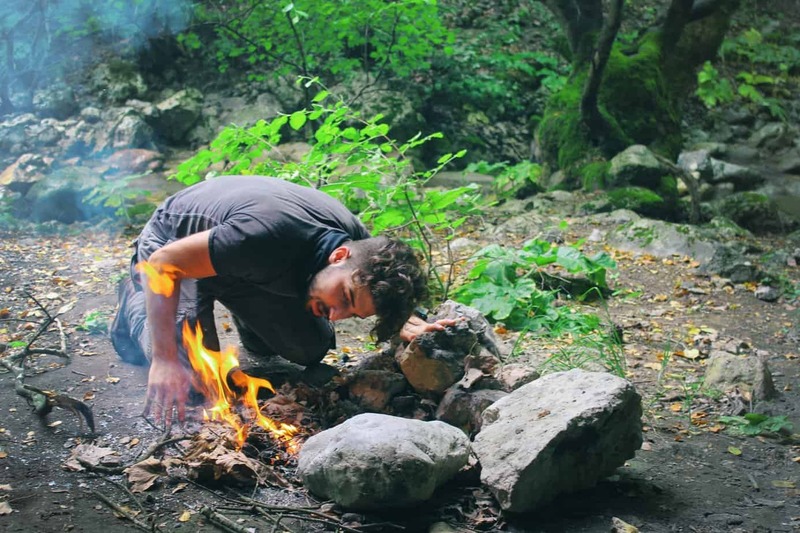 This jacket is sold as a backpacking/hiking jacket so while it can take a lot of extended wear without a problem, it is prone to ripping or abrasions from brush, rocks, trees, etc. If you are wearing this jacket in really tough country or at a worksite, you may not be happy with it. A lightweight durable shell over top may help. Unlike the above disadvantage, this one is the fault of MH. Majority of Mountain Hardwear jackets are very similar in size, so typically if you are medium any medium will fit well. Unfortunately it seems something went wrong with the sizing of the Nitrous. First off, sizing up seems to cause this jacket to be too boxy. It looks more like a square and feels too wide but not long enough. Other found that when ordering a small or medium, the body seemed too tight for a down jacket. These complaints are rare but you may want to try on this jacket in store or ensure you purchase from a retailer than will exchange sizes. 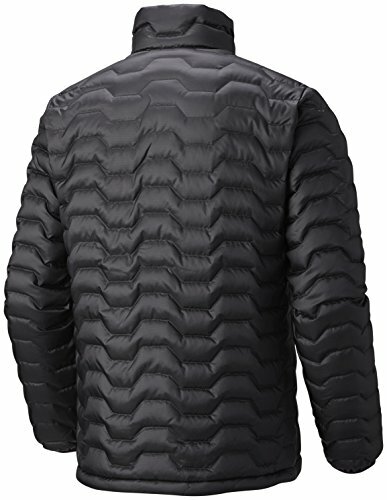 Arc’Teryx Cerium LT: A very similar jacket in terms of style and wear. Mountain Hardwear Ghost Whisperer: This collection is another very similar one to Nitrous, but without certain features like chest pockets. Overall, a tighter weave better for colder conditions than the Nitrous. How accurate is the fit for this Jacket? Mountain Hardwear uses standard sizes, but sometimes the fit for this jacket can be a little bit smaller than you’d expect, according to some reviews from buyers on their official site. Mountain Hardwear uses standard sizes, but sometimes the fit for this jacket can be a little bit smaller than you’d expect, according to some reviews from buyers on their official site. 2. Is this Jacket heavy? Many might think this jacket is heavy because of its warmth features, but on the contrary, it is surprisingly light which also makes it perfect for travel. It won’t take up much space, and it will keep your luggage light. The fabric is also thinner than you may think, and it’s still a warm coat due to the down fill. Overall the Nitrous is an excellent quality down jacket. You really can’t beat Q.Shield technology- not to mention this jacket looks amazing and is specifically made for outdoor enthusiasts. If you keep these two issues of sizing and durability in mind you will be very happy with this model. There are a few good options that I’ve found. Mountain Hardwear Direct: First, I would check this page for the latest direct brand deals. Amazon Listing: Second, check out Amazon here. Sometimes the availability can be spotty, but they also frequently have great deals. REI Co-Op Outlet Deals: Finally, I frequently scan Outlet deals at REI (check the specific Nitrous listing here). The LARQ Water Bottle Review – Purification At Its Best!